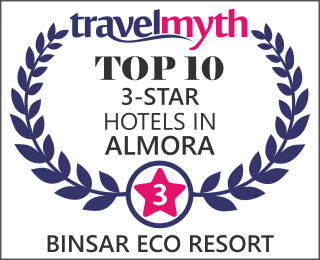 Binsar is an epitome of solitude, quietness and natural beauty for today’s traveler. The Binsar wild life sanctuary encompasses an area of about 50 sq. Kms in the middle Himalaya near Almora. The forest abounds with wildlife – commonly seen are leopards, deer and wild boar. Once the ancient capital of the Chand Raj kings who ruled in the 7th and 8th centuries Binsar is an epitome of solitude, quietness and natural beauty for today’s traveler. 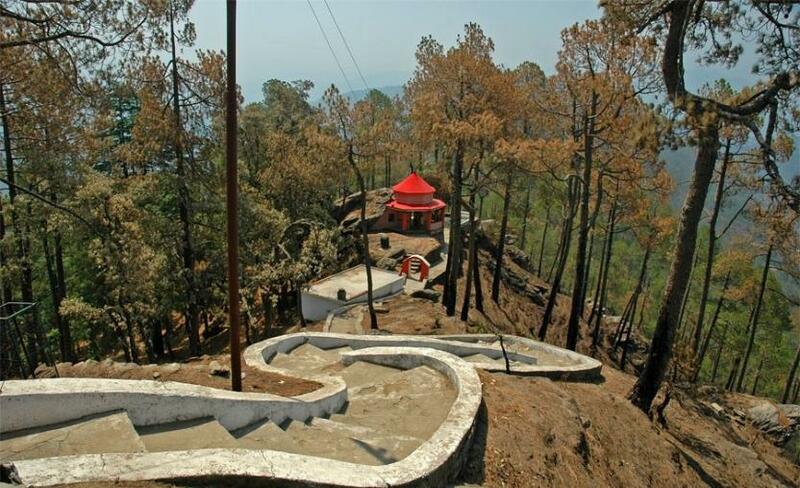 Perched on top of Jhandi Dhar hills, Binsar is 35 km from Almora and is a notified forest reserve and bird sanctuary. There is no town called Binsar, not even a settlement of huts or anything, it is just the forest reserve that has been named Binsar. The placed affords wondeful views of the snowcapped Himalayan ranges, like the peaks of Nanada Devi, Kedarnath, Chaukhamba, Trishul, Panchchuli and Nanda Kot.. It is dedicated to Lord Shiva and is regarded as one of the most sacred ‘tirthas’ in the Kumaon region, with a linga considered to represent one of the 12 jyotirlingas. The temple complex comprises 124 temples of which 5are major ones. Of the numerous temples in the Jageshwar group of temples, the Mrityunjaya temple seems to be the oldest dating back to the 8th century. The famous Nanda Devitemple is located in the antechamber of a Shiva temple in the Bazaar above the mall. Nanda Devi is believed to have been the Goddess worshipped by the kings of the Garhwal and Kumaun regions. The Nanda Devi temple at Almora is decorated on the Ashtami of Bhadra Shukla. 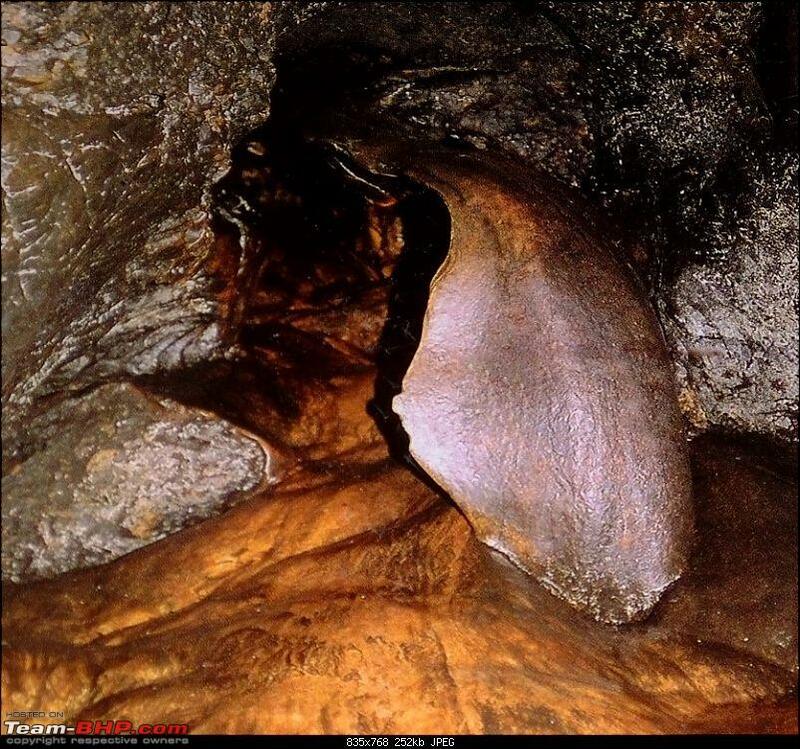 Two images of Nanda and Sunanda are made in a banana trunk. The fair starts on Nag Panchami according to the calendar, on Sashti the priests mark Kadli trees and then a red and white cloth is tied around it, on the Saptami amidst the sound of different instruments they are cut prior to which a goat is sacrificed. 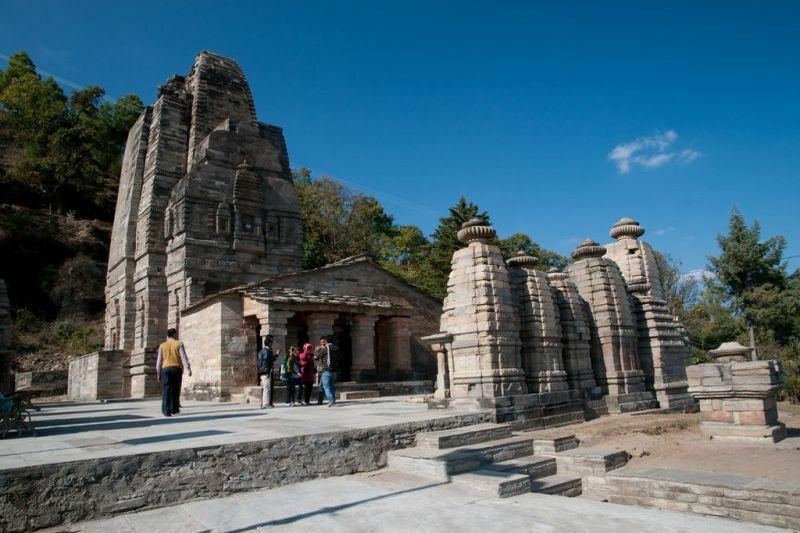 This ancient temple is one of the prime attractions of Almora town. The images and statues on walls of this temple are intricately and skillfully carved. They are very attractive and almost true to life depictions have been done. Every year a fair, Nanda Devi Fair, is organized here, which is attended by people from all over the place. This 1000 year old temple is one of the main attraction of Almora. Every year a festival is held here. Naina Devi was the patron goddess of Chandravanshi kings. This is the most famous place in Almora. The third most well-known temple is the Baijnath temple at Bageshwar which is one of the few temples where both Lord Shiva and Parvati are worshipped. The temple complex holds a pond where you can see a variety of fish. It also holds a particular stone which can only be lifted by nine male little fingers. Bageshwar represents the meeting of the Srayu and Gomati rivers. Just one kilometre from Upat is Kalika with its famous temple to theGoddess Kali. It also has good forest nursery. A beautiful snowcapped mountain peak is available on the other side of the golf link at Upat. From Kalika a 45 minute drive away, through misty, pine forests is another temple, the Binsar Mahadev. It is close to Almora, is steeped in legend. Here devotees tie a bell, make a wish and even write letters seeking divine intervention in legal issues to Chitai, who is regarded as the God of Justice.